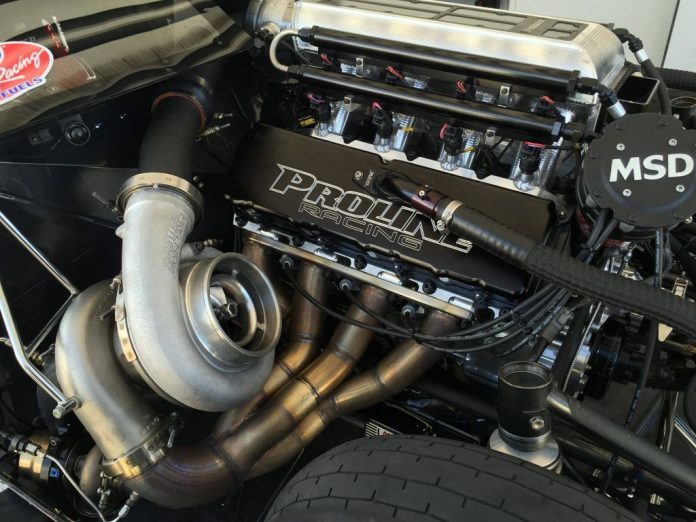 Home No Prep Tech Engine Combo’s…Turbocharging. 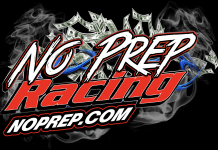 IF you are a drag racing fan and haven’t been living under a rock the past few years, then you most likely have heard of “NO-PREP” racing…An acronym for “No Preparation”…Where the track has been cleaned, but no liquid traction aids, that make the track surface sticky, have been applied. It is supposed to replicate, racing on the street, but a safer environment for spectators and racers alike. 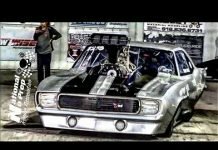 A definite departure from the usual IHRA and NHRA rules and politics. But no less exciting…In fact, it’s because of those “departures” that NO PREP has gained so much momentum, among the likes of drag racing fans. Only the NHRA Pro Mod class, has a similar diversity of engine combinations, that appear in NO PREP. Like any combination, there are “advantages and disadvantages,” and with those “pros and cons” comes not only data to decipher, but also a gut hunch as to what may, or may not work on any given day. Let’s look at those engine combinations a little closer and go over some of the inherent issues. In the most basic sense, the internal combustion engine is nothing more than an air pump…The more air in, the more air out. Add some fuel and spark to this air exchange, and power is created. Each engine combo uses this basic theory, but with different approaches. Let’s start with Turbocharging…A turbocharger uses exhaust gases to spin an impellor, that compresses and forces air into the engine. The more air in, the more fuel that can be added, and ignited to create more horsepower. Of course, the Turbo combo, can have quite an intricate support system, including a maze of tubes, hoses, valves (aka wastegates) and clamps holding everything together. Having a complex system such as this, can also mean more can go wrong, if there is a weak link. Provided that all the “supporting systems” are on track, like the tune that incorporates ignition, fuel pressure and timing. The one factor that can negate all that induced power is heat. Heat is a byproduct of engines, and one that can cause a whole variety of issues. Unfortunately, turbocharged engines seem to make the most amount of heat. In fact, a turbo under “boost” (compressed air pressure) will glow bright orange and be a few thousand degrees (F). This intense heat can cause horsepower loss, and major damage in poorly tuned engines. Turbo cars with heat issues, not only waste horsepower, but affect the performance of the transmission as well. The transmission is of utmost importance… A turbo can suffer “lag”…Or the time it takes to spin fast enough to develop boost. So, accelerating at zero boost, will cost valuable time in a drag race before the engine makes optimal power. The specialized transmissions will allow the turbo to build boost “under load” at the starting line. with what’s known as a trans-brake, essentially “locking” the transmission between the reverse and drive gears. While the trans-brake is engaged, (usually operated by a button, on the steering wheel or shifter) the car will remain still, even under throttle, that will allow the turbo to build boost. At this point the car is ready to launch, and most do quite violently like a pent-up rodeo bull. 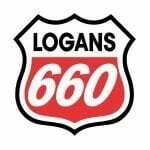 Now, this aggressive launch is of utmost importance in a drag race, that is only 660’ and takes place in roughly 4 seconds. Remember the heat issue ? The heat being generated at the line, under boost can be tremendous, with it dissipating into the transmission. IF the transmission gets hot, it can affect how the gears change and the car’s performance running down the track. At times you will hear the saying “HE WAS BURNING ME DOWN AT THE LINE”…A delay in starting the race either by accident, or on purpose, while the Turbo car is on boost waiting to go. Intense heat being generated will hinder the performance greatly, and a great disadvantage to that driver. So, with every positive there is the unavoidable negative. Turbocharging, massive power but with the inherent issues associated with it. 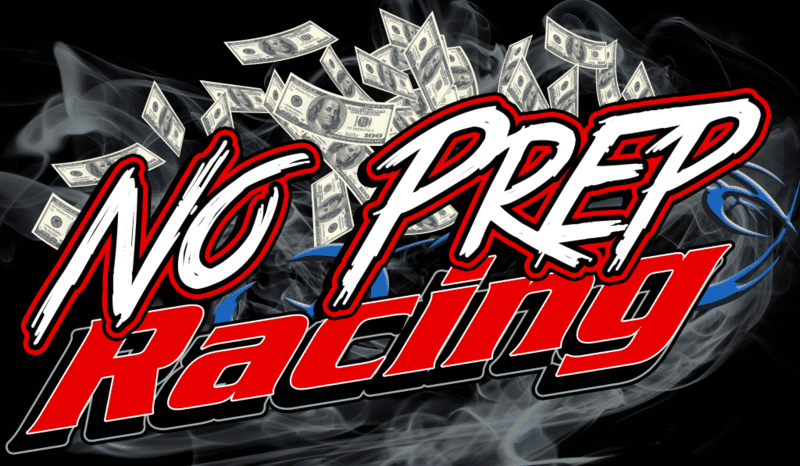 But with any gamble, there is risk…Such is the life of the NO-PREP team. 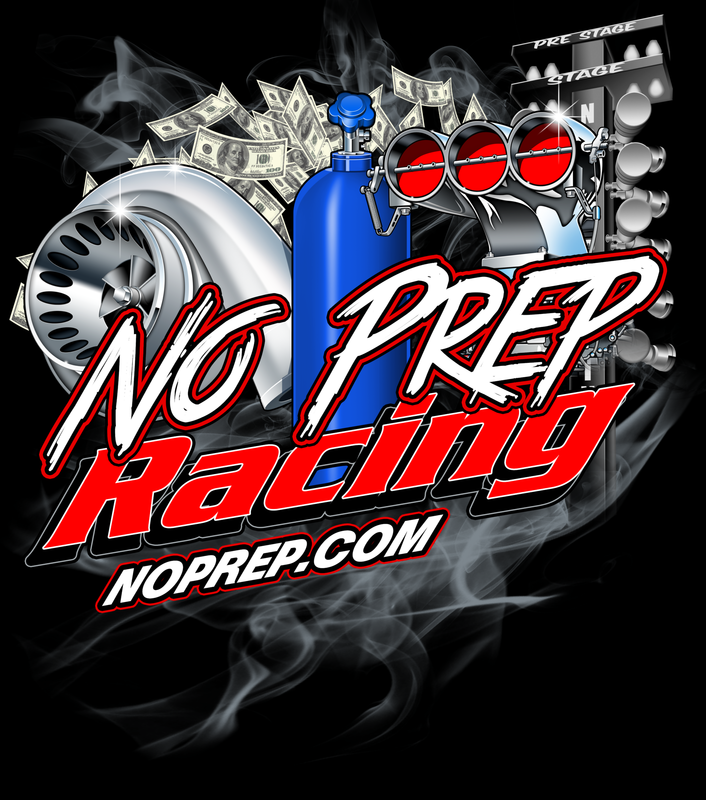 Next articleNo Prep Racing Family…….